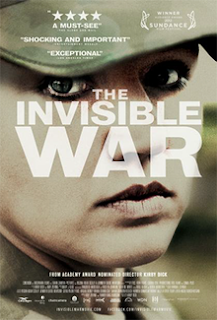 The Invisible War is so hard to watch. It tells the story of women in the military who've been the victims of sexual assault. It made me see red. It broke my heart. It was horrifying. Since the film was released, some positive changes have happened but not enough. Not nearly enough. 8/10.